DJs for PJs – just another sleepy night! 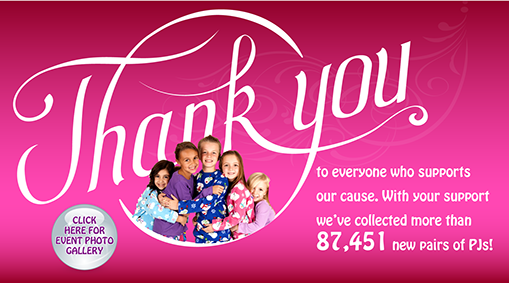 A Southern Nevada cause designed to provide new pajamas and caring comfort to children in crisis. 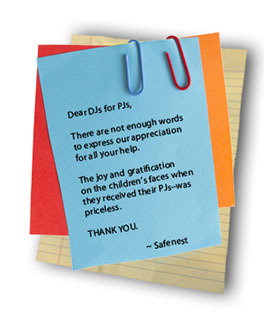 DJs for PJs® is a non-profit organization that provides new pairs of pajamas to benefit children in need. Originally founded in Las Vegas, Nevada, in 2003, the organization has grown to fill charitable needs for children throughout Southern Nevada. The DJs for PJs® Fund is administered by the Nevada Community Foundation.